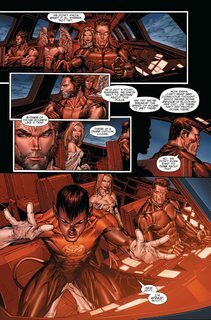 X-Men – Messiah Complex (TPB) (2008) : “X-Men: Messiah Complex” (also known as “Messiah CompleX”) is a comic book crossover storyline published by Marvel Comics from October 2007 to January 2008, which ran through the various X-Men books. 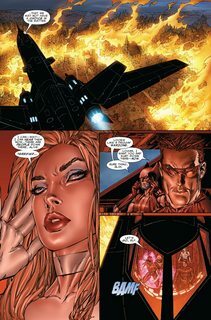 The “Messiah Complex” storyline is the climax of events set into motion in “House of M” and defined the direction of the X-Men franchise for the next several years. The storyline’s main plot involves the birth of the first child with the X-gene since Decimation, sparking a race between the X-Men, the Marauders, the Acolytes, the Reavers, the Purifiers, and Predator X to see who will find the child first. 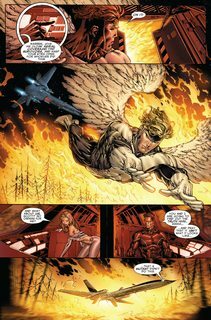 The event also marked the return of X-Man Angel, who had been away from the X-Men teams for a while. “Messiah Complex” also involves X-Factor and New X-Men, Sentinel Squad O*N*E*, and Cable.